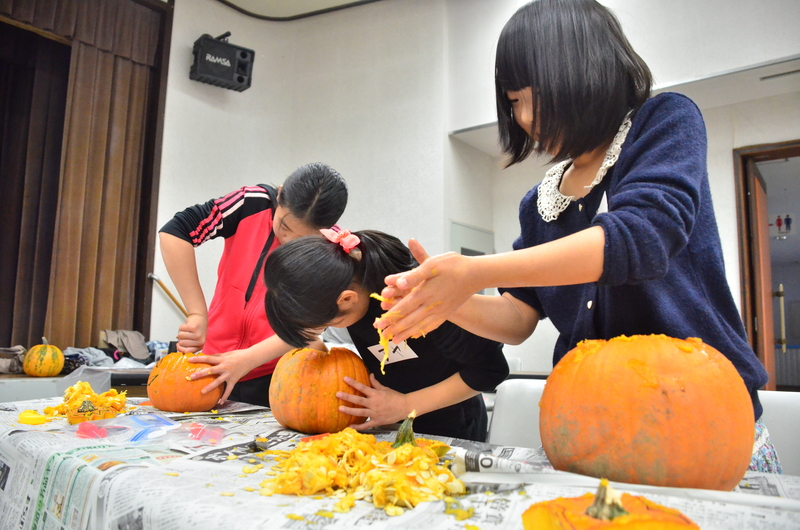 Higashikagura Pumpkin Carving was held on 24 October, 2015. 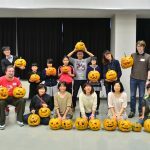 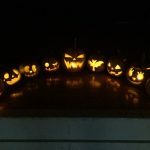 Most participants have never carved a pumpkin before, therefore we invited three volunteers to come and show them how. 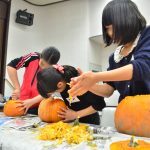 Thanks to HAJET event funding, we were able to purchase pumpkin carving kits, which were much safer tools for beginners. 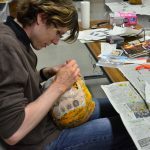 Participants were able to carve at least one pumpkin each within the allocated time, and they were lit up with LED candles at the end.